The water is collected from a variety of sources such as rain collected by reservoirs, mountain streams, or underground water. These natural water will be treated by the water plants through filtering, sanitation, pH adjustment to become our fresh water supply coming out from our taps at home or at work. Normally, tap water will be used for this process. The water is heated to its boiling point at 100°C , transforming it to gaseous stage (commonly known as steam). This will in turn be cooled down to become purified water. Impurities such as miscellaneous minerals, small inorganic particles in the original tap water are left behind and germs are killed during the process. Water is pressurized and forced through a special membrane. Particles are filtered out to achieve purification. 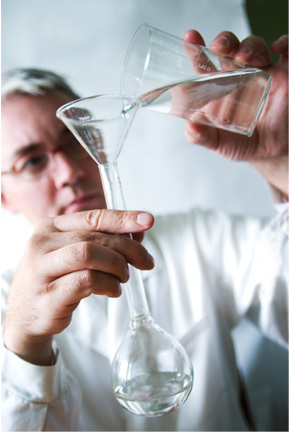 Potable water is treated through distillation and reverse-osmosis processes to achieve ultra-pure water. These are not mineral water collected at its natural sources. They are normally tap water with measured mineral additives to a certain approved pH and mineral balance. Only water that is directly collected and bottled at its natural sources can be called natural mineral water. Water plant will filter and remove physical impurities and unstable dissolved mineral content before bottling to attain optimum shelf life. Total Dissolved Solid (TDS) is typically above 250mg per litre. Similar to natural mineral water, spring water is directly collected and bottled at its natural spring sources. Total Dissolved Solid (TDS) is typically below 250mg per litre. Re-use lightly used water, such as hand-washing, vegetables and fruit rinsing etc., for cleaning floors or watering plants. Educate your children to conserve water. It's a scarce resource in other parts of the world.